SYRMA (length 4,730mm – width 1,980mm – height 1,155mm – pitch 2,790mm) features an extremely innovative layout: three staggered front seats with central driving position and rear power unit. The concept has a hybrid propulsion system with a V6 twin turbo, approximately 4-litre heat engine and an electric engine that, together, deliver around 900 hp. Using the electric engine, this rear-wheel drive vehicle could circulate freely in city centres, effectively contributing to reducing air pollution. Designed to deliver total safety, the car features a complete array of innovative passive and active safety devices. In electric mode, the car is completely silent and its arrival is perceived through front laser projection of messages and images on the road. As regards internal layout, the central driving position guarantees maximum visibility when driving, while the cockpit that “envelops” the two side passengers, covered by a teardrop windscreen, acts as a protective shield of the cabin. 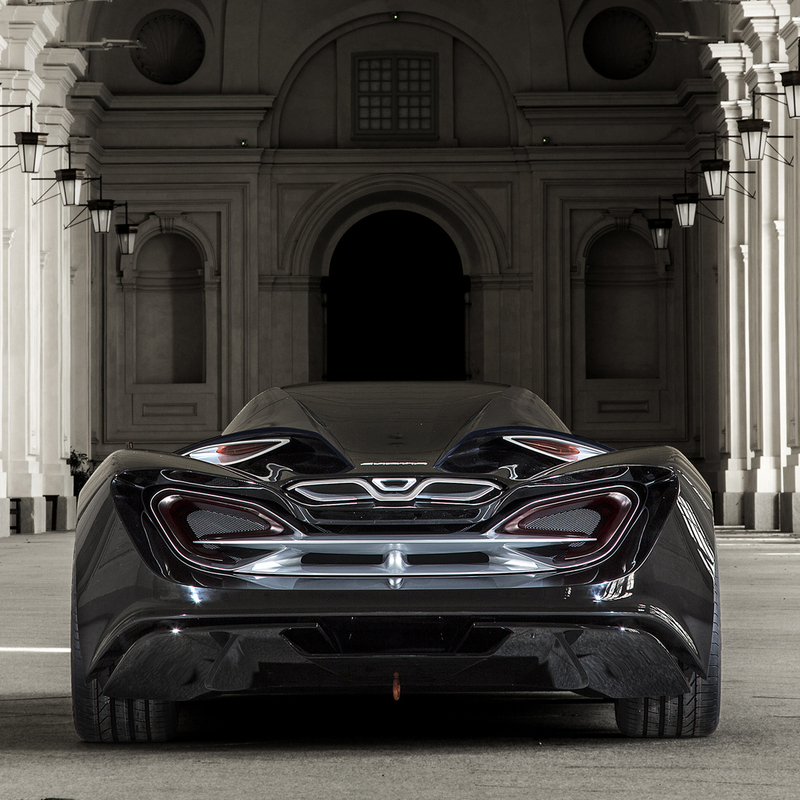 At the 85th Geneva Motor Show, to be held from March 5 to 15 2015, the Istituto Europeo di Design and Quattroruote will reaffirm the excellence and innovation of Italian design at a world preview of the Syrma concept car, the 11th 1:1 scale model designed by the now historic Master in Transportation Design of the Turin Istituto Europeo di Design. Quattroruote, Italy’s most widely-read and authoritative motoring magazine and long-term exponent of “road safety”, has decided to raise awareness of this issue, asking Master students to research ad hoc technologies to be tested on this innovative vehicle. 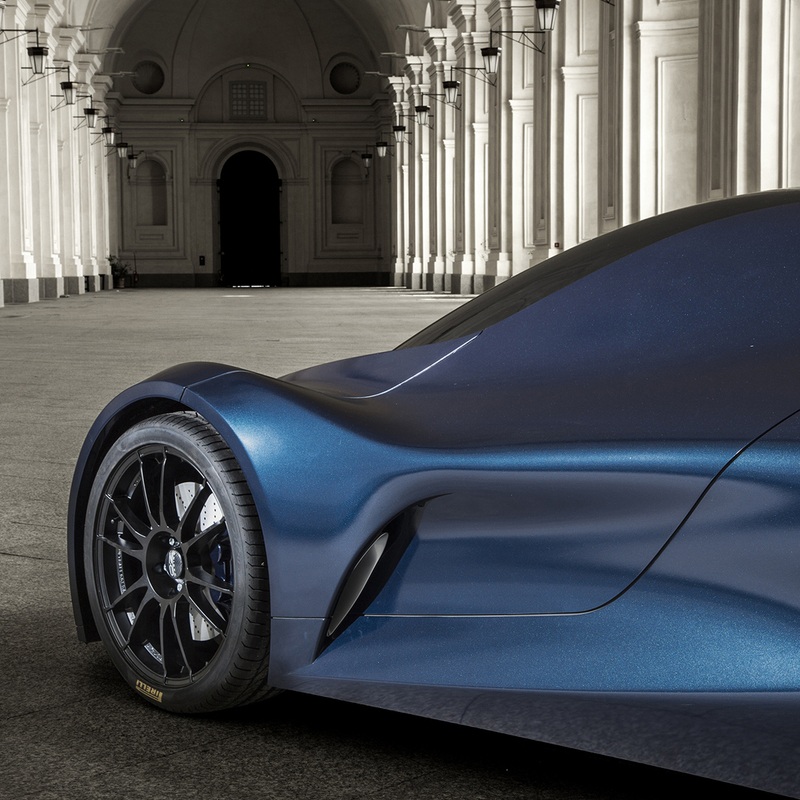 The Swiss Motor Show, a regular appointment for both Quattroruote and the Istituto Europeo di Design, has been selected as the ideal venue to showcase this important cooperation, intended to highlight their common, markedly Italian DNA and to present a world preview of the concept car at the Quattroruote booth. 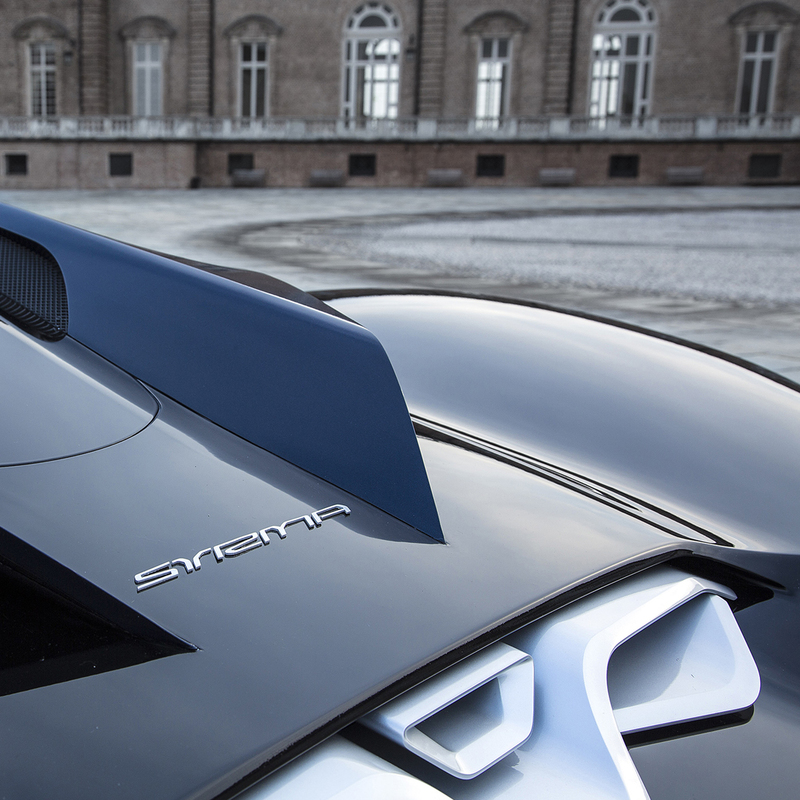 The name, Syrma, is the offshoot of a competition, launched by the Istituto Europeo di Design and Quattroruote on the monthly magazine’s website on the occasion of QuattroruoteDay 2015, that invited the web audience to select the name of the new model from amongst five options proposed, all starting with the letter S and ending with the letter A, a tribute to the once-off 1960s Sigma and Secura prototypes produced in response to a proposal by Gianni Mazzocchi, publisher and founder of Quattroruote. According to Gian Luca Pellegrini, Director of Quattroruote, “the partnership between our magazine and IED is intended to highlight Italian excellence in car design and the commitment that both brands, undisputed reference points in their respective sectors, dedicate to training younger generations. In addition to enhancing the quality of Istituto Europeo di Design’s academic programmes, the Syrma demonstrates that a distinctly Italian style can be interpreted by students from all over the world. The name, Syrma, chosen by thousands of internauts through a web contest on the quattroruote.it, suggests not only beauty, style and elegance but also has fascinating astronomical connotations: Syrma is, in fact, a star in the constellation of Virgo (also known as Iota Virginis), located in the southern hemisphere close to the celestial equator that can be observed from all inhabited regions of the Earth”. The Syrma, thesis project of the eleven students of the Master course, is the end result of a process that simulates a real-life working environment. All the students submitted a proposal and that complying most precisely with the initial brief was selected as the initial project for the final version. The class then created a core work team and, working together, completed the concept in real scale. Over the years, the Master in Transportation Design – now (2015) in its 11th edition – has developed into a highly qualifying course able to train competent automotive professionals to enter the world of work through a constant rapport with companies and style centres. The students followed up all the phases of construction of the model personally at the Model Master facilities of Moncalieri, a recent addition to Cecomp Group, a leading model and prototype manufacturer that has been cooperating with the Institute in the field prototyping processes for the last ten years. Syrma was conceived by: Xingwu Li (China), Marshin Bhatt (India); Jacek Chrzanowski (Poland); Gaurav Anand Jagtap (India); Cho-ta Lu (Taiwan); Dror Peleg (Israel); Sunny Gurmukh Ramrakhiani (India); Rahul Surendra Sadwelkar (India); Aldo Hernandez Schurmann (Mexico); Reza Shahla (Iran) and Jingwen Wu (China), , students of the Master in Transportation design at IED Turin a.y. 2013/14. 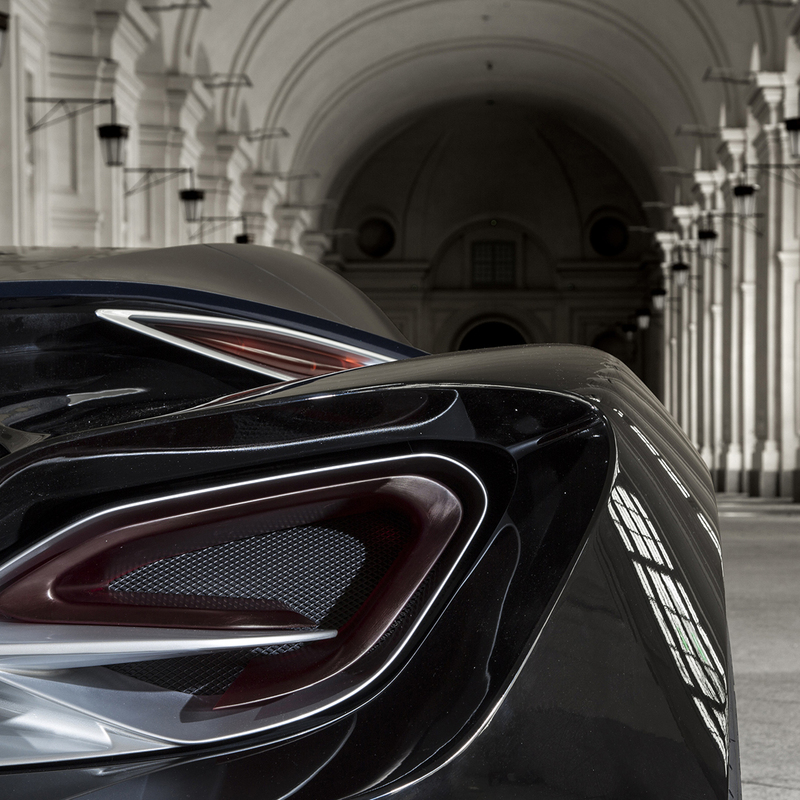 Other contributions to the project: Luca Borgogno, Lead Designer Pininfarina; Fulvio Fantolino F&F Design Studio, with the collaboration of Luca Dazzan, Alberto Filosi; Rustom Mazda and Adriano Piovano, Professors at the Istituto Europeo di Design.